First time poster here needs help. I'm getting a very strong interference on medium wave between about 600-900 kHz. It seems to be mains borne. fuse box and the interference does not go away it is still there. This problem started about 10 days ago. breaker but stays on with it switched on when all fuses are removed. When the fuses are removed and the interference is still there the electricity meter is not moving. 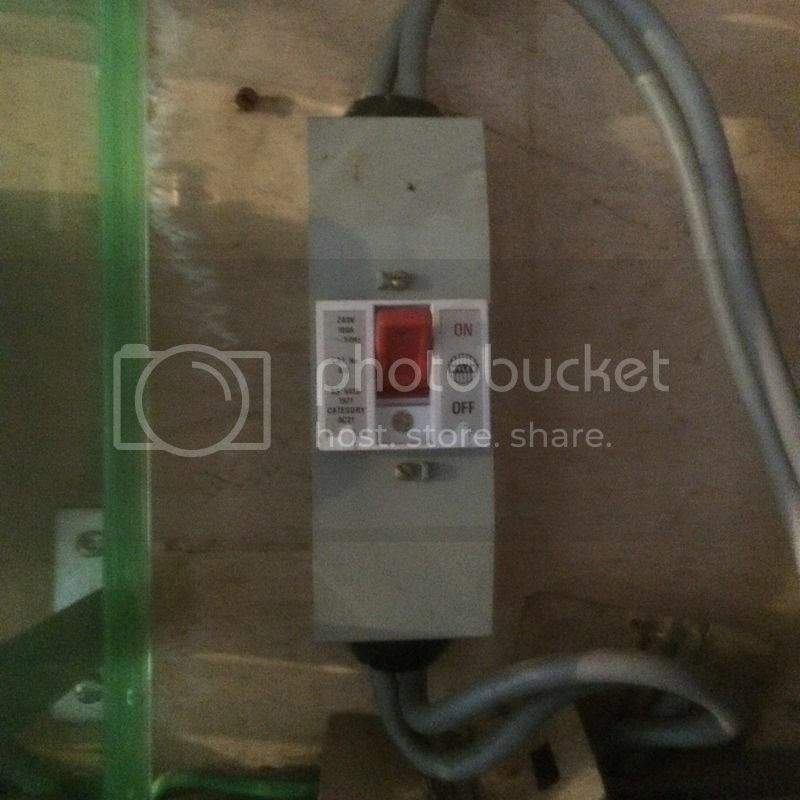 Is it possible that the circuit breaker is a double pole switch and removing the fuses only disconnects the live side of things? Zaaxx wrote: First time poster here needs help. Hi Mike welcome to the forum can you tell me what is written on the circuit breaker that precedes the Wylex fuse box? If it's a an isolator breaker or an ECLB it will be double pole switch the fuse box is also a double pole switch but the fuses only isolate the live side. If you have an ELCB usually 100 ma that means your earthing via TT a stake in the ground to provide an earth for the property this system is usually for the supply coming from overhead lines. By the way I forgot to mention that the interference is intermittent. It will come on for say 5 minutes then it will go off for 10 then come on again for say 8 minutes and go off for 3. That switch is just an 100A isolator so no problem with that. So the problem is intermittent and the QRM goes when main switches are off but still there with main switches on and fuses removed the only thing I can think of is damp or insects in the fuse box causing tracking but looking at the pictures it doesn't look damp insects however are conductive and can cause tracking. So inside the fuse box from the main switch is a busbar (copper bar) which runs along the bottom of the fuse carriers and that's all. One thing we have had is heavy rain showers lately but water damp would have be around the fuse box. A long shot .... Could somebody have hacked into the box and secretly put a feed to another device somewhere? I have known these things happen. Is it a directly wired boiler or something which is firing? John Faulkner, Skegness wrote: A long shot .... Could somebody have hacked into the box and secretly put a feed to another device somewhere? 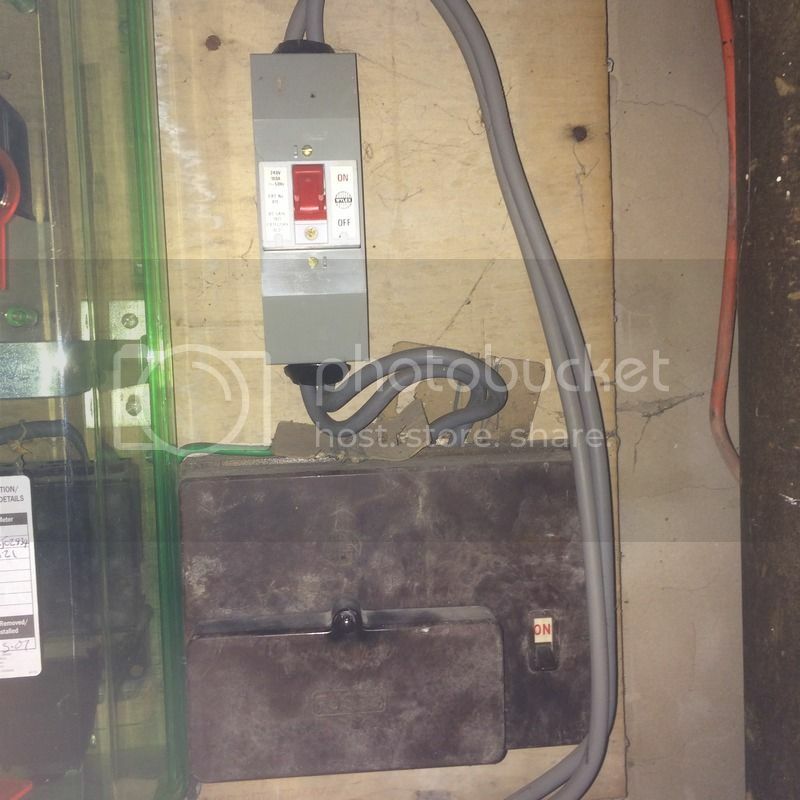 The only place a wire could connect in that fuse box is on it's main switch and trying to connect a smaller wire along with the meter tails would be difficult to do and then access to the front of fuse box would be required. See link below scroll down to Wylex CU that shows the insides of the fuse box. Just been thinking about this with the isolator or main switch off that means both live and neutral are disconnected but with the switches on and fuses out only live is disconnected neutral will be connected to the supply. So it would seen that is where the QRM is originating from the supply cable thus the neutral wire acting as an aerial. As to where the QRM originates from well just about anywhere that is connected to your supply cable.